A neighbor asked me on Sunday, “Are you really going to put in a picture like that (Saturday’s post with a picture of my daughter standing at her great-grandfather’s plaque in Santa Fe) and not tell the story? !” I promised her it was coming, just needed a little thought, and maybe more than one short chapter. Henry wanted to be an artist, something his parents didn’t endorse. He earned money as a skater, bicycle racer and movie stuntman to support his studies. He earned the Queen’s scholarship, completed his formal training, came to New York. moved to Chicago, moved to Taos, then settled in Santa Fe in 1924. I have a degree in art history/visual art, but I had never heard of Henry Balink until I met Bernard. Among the various artifacts decorating Bernard’s place in Wyoming was an exquisite etching, beautifully framed. “My grandad did that,” Bernard said as he noticed that I was studying it. “He was an artist.” That’s my Bernard, a man of few words. A few years later, visiting Santa Fe, I got the fuller story and learned why I’d never heard of Henry C. Balink. Henry Balink traveled to Taos in 1917, shortly after the founding of the Taos Society of Artists in 1915. The Taos Society, a group with which I was vaguely familiar, was essentially a sales cooperative, one with very strict rules for membership and conduct. “The Artist” didn’t want to play by their rules and wouldn’t join their co-op. In response, they had him blacklisted in Taos, making it impossible for him to buy coal or other supplies; when that wasn’t enough, they tried to get him deported by accusing him of espionage. Balink prevailed, said the equivalent of “the hell with you guys” and settled in Santa Fe. 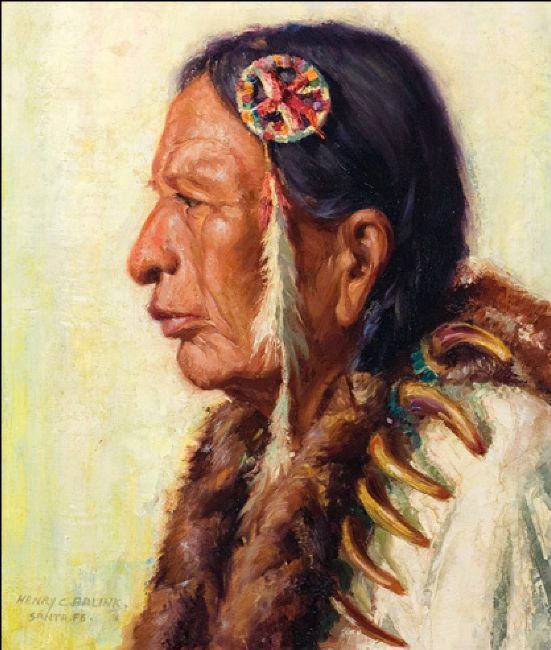 In 1927 he was commissioned to paint portraits of the Oklahoma Indian chiefs; these are probably his best known works, known by the handful of people who’ve actually heard of Henry Balink. He taught during the 1930s and, after WWII, advised President Eisenhower on his beginning painting efforts. He was an exceptionally talented artist – painter, engraver, sculptor. 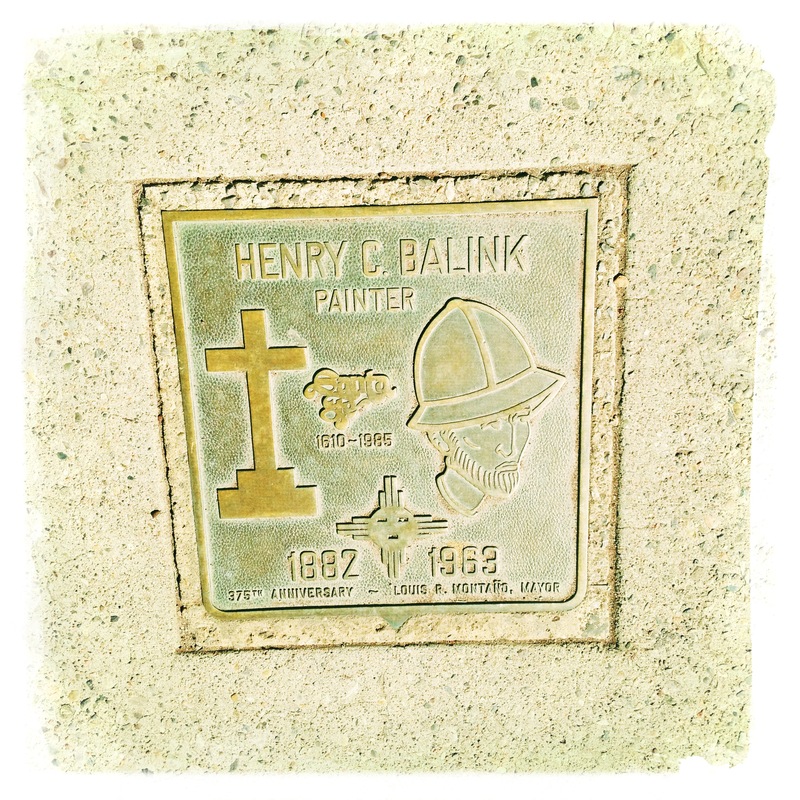 What I understand and admire most about Henry C. Balink, however, having never met him but having now heard many family stories, is that he belonged to no one other than himself. His art was his own, his life was his own, and he was inventive enough to become his own patron. His choices most certainly limited his long-term fame, but I somehow doubt he would have cared. Perhaps the greatest misconception about artists is that they are driven primarily by a desire to create and express. Most of the real artists I know, or know about, want to be free.